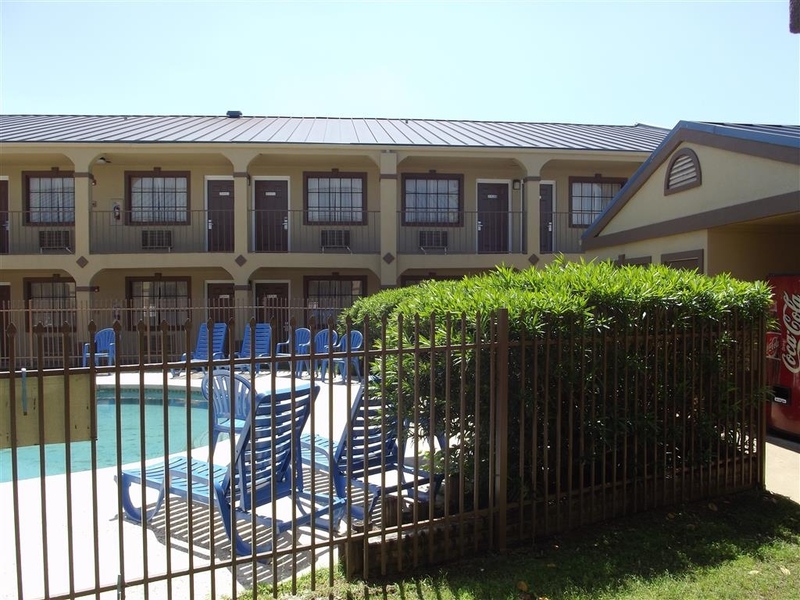 The Best Western Northpark Inn is ideally located in the center of Nacogdoches. Come and experience our hotel near the major tourist attractions. Best price guaranteed and exclusive deals. Welcome to Best Western Northpark Inn! From baseball to the Blueberry Festival, our Nacogdoches, TX hotel is conveniently located close to all the area attractions. 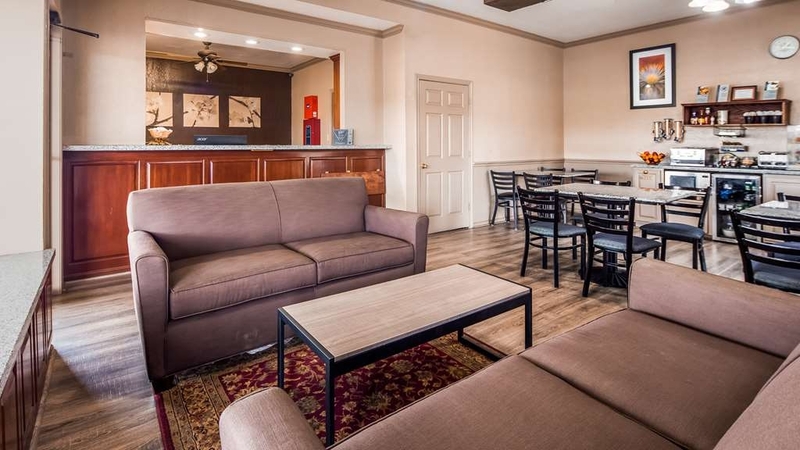 Stephen F. Austin State University is a short drive from our Nacogdoches hotel, making our property a favorite for visiting faculty, students and their families. 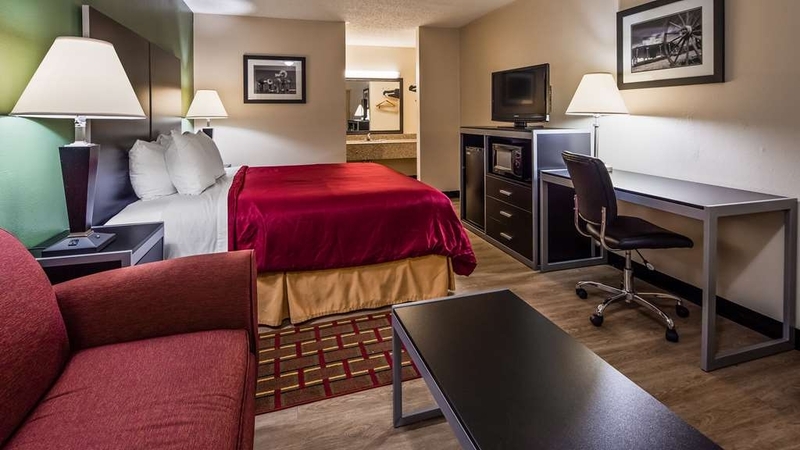 From a weekend stay for graduation ceremonies to an extended stay for a whole semester, we make you feel right at home. 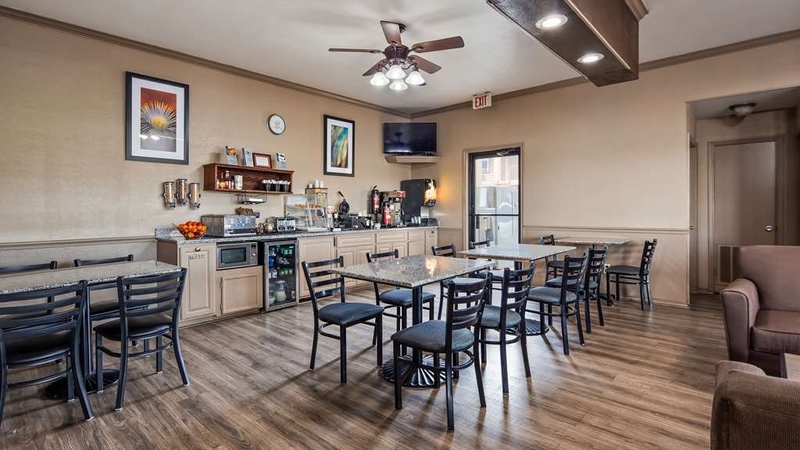 The Nacogdoches Civic Center is in the neighborhood, too, and we cater to groups, traveling vendors and those in town for special events, such as the OTT Bike Rally, and rodeos. If you're here to catch a game at the Nacogdoches Baseball Complex or for an appointment at the Nacogdoches Medical Center, you'll enjoy being a brief drive away from these top destinations. 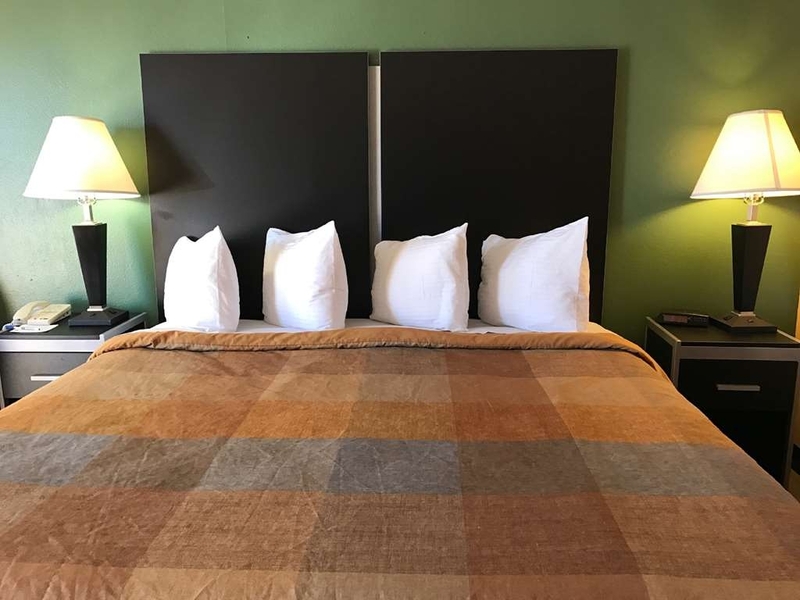 Business and leisure travelers alike enjoy our cool, spacious rooms, southern hospitality and luxury bedding. A great value and an unbeatable location are what we promise. 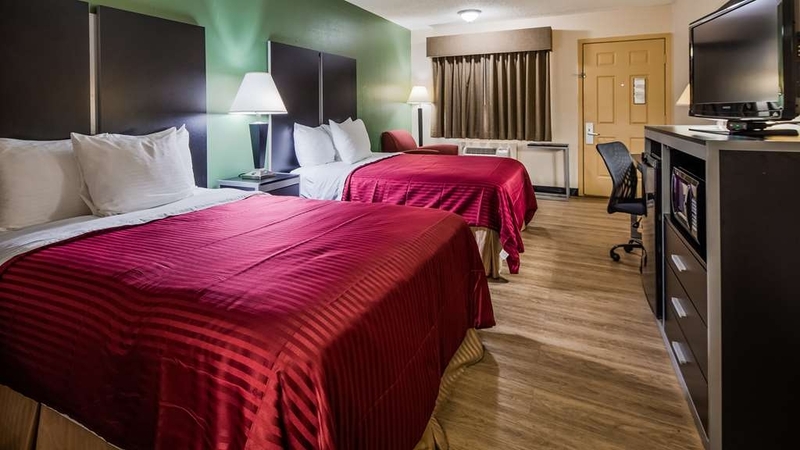 Adjoining rooms are available for groups, and we're a pet friendly Nacogdoches hotel, so feel free to bring the whole family. A free hot breakfast greets guests each morning and is the perfect way to kick off vacation. Indulge in favorites like buttery stacks of waffles, fresh fruits, sausage patties and fresh scrambled eggs, cereals, yogurt, 100% Arabica coffee and your choice of apple or orange juice. 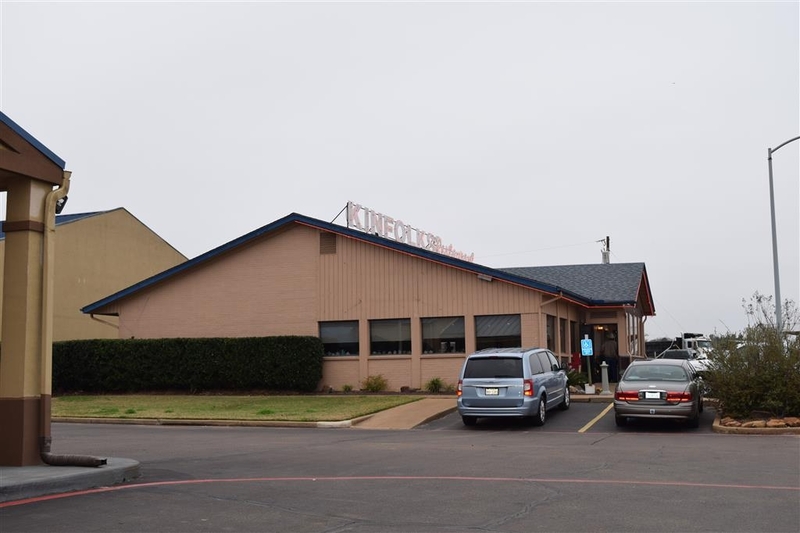 Free high-speed Wi-Fi, truck and RV parking, and easy access to Highway 59 and Loop 224 means great convenience. We offer extended cable with HBO® and ESPN®. 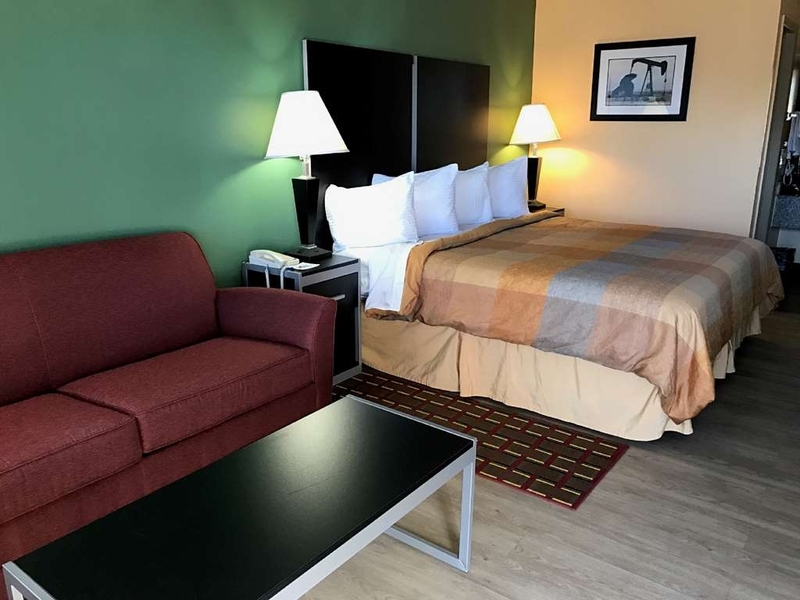 Business travelers with companies like Tyson® Foods, oil refineries, the Medical Center and other local businesses especially enjoy the prime location of our Nacogdoches hotel. Our property is close to dining and shopping, so you don't have to go far for great Texas BBQ, fine dining or boutique shopping. 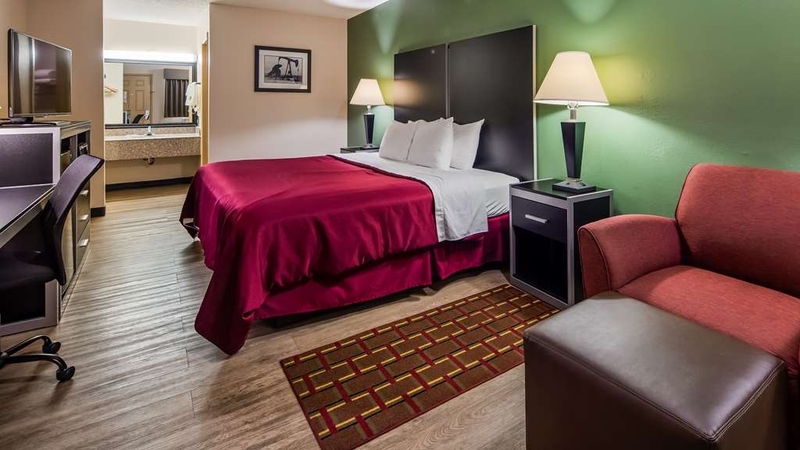 Reserve your upcoming stay at Best Western Northpark Inn today, where southern hospitality shines! Stayed here on our way home from a cruise. The motel staff were helpful and considerate. The room was clean, comfortable, and well appointed. I have to go back that way again at the end of this year and I will be making my reservation soon. The hotel is easy to locate, just off Hwy. 59. 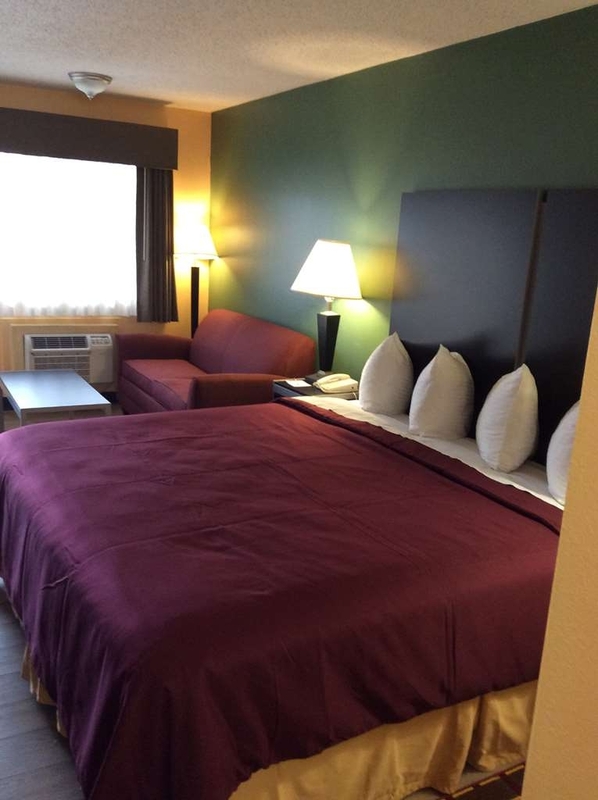 The room was very clean and the personnel were very friendly. 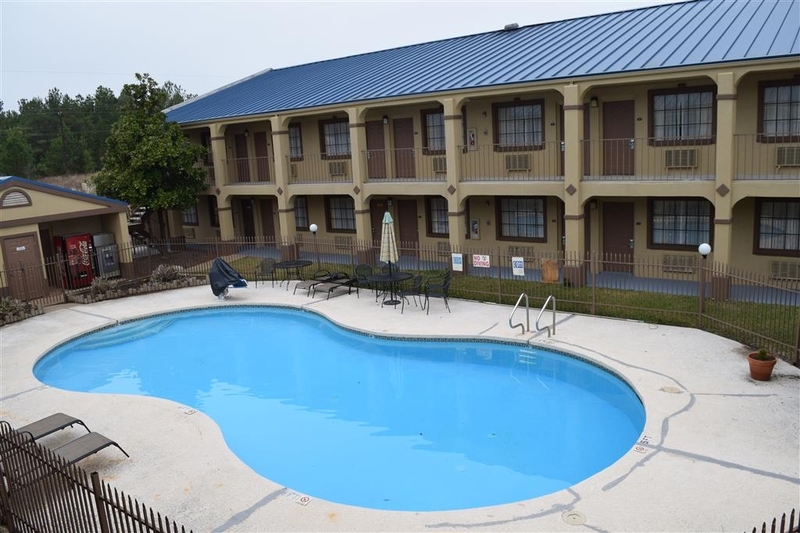 The rooms open to the parking lot, so if you are concerned about security I would request a room upstairs and facing the pool rather than the parking lot. The room was larger than I expected, and had a small fridge and microwave, and a large screen tv. They also had free internet access with a code. The hotel sits far enough from the highway that we did not hear the traffic. There is also a restaurant on the property that is open until 9PM. "Peaceful, clean, comfortable, room - yaay"
Had a nice clean room with TV fridge, microwave, coffee pot, working bath tub and big ol king size bed. Ac will freeze you out. All receptionist were friendly and helpful. I felt valued. No noise makers the night I stayed. First time at a hotel with no noise in a while. We stayed here while visiting friends. It was a comfortable room and reasonably priced. The bed linens could use a replacement but they were clean. Staff was friendly. If they didnt charge for pets I would probably stay more often. Everyone who is asked to sign up for BWR Membership should get at least 125 incentive points for every night they stay even if they are under a company, in double/shared rooms, etc. Don't ask people to sign up if you aren't going to honor what you tell them at the time they can look forward to. An exercise room would be a nice addition for downtime. The price is reasonable most of the time. The rooms are nice. The staff is professional, friendly and accommodating. The location is great. Restaurants next door are convenient. It's two miles from Walmart and a hospital. It's convenient for Truck Drivers and travelers. For the price, a very nice clean room with lots of space. It is very close to the highway. The breakfast was good with many options and the staff was friendly in the morning, especially with our son throwing a tantrum. At check in, we were not explained that there was a complementary breakfast nor given the wifi password. 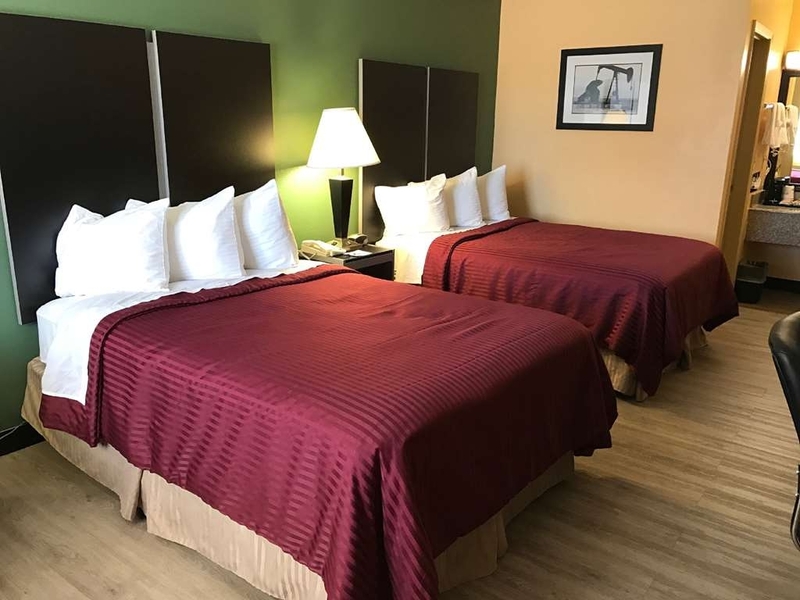 "Great Hotel to stay in Nacogdoches!" Hotel had everything we were looking for. 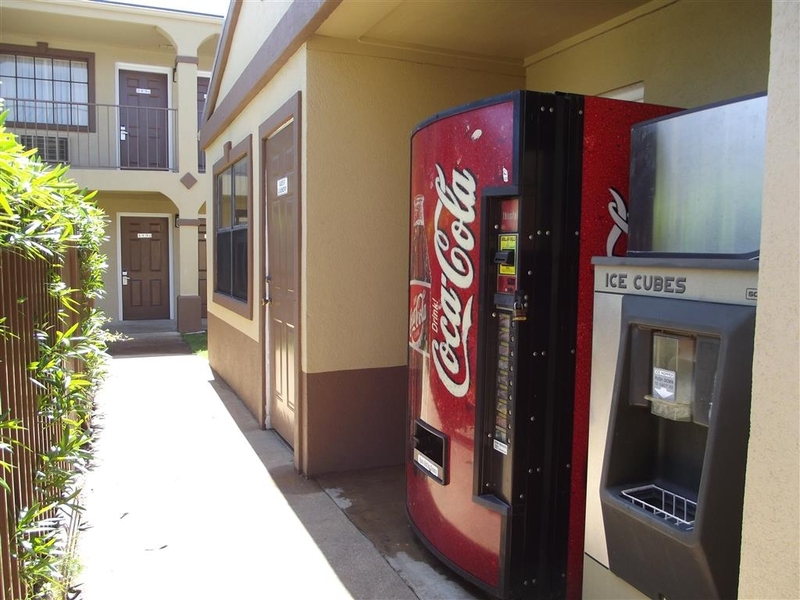 Right off the highway, near the attractions in Nacodoches, clean, great service, internet, pool, and reasonably priced. Will definitely be staying here again. When I checked in, the lady at the desk was just so kind! It took only minutes,to get my key but I walked away feeling like I had a new friend. Room was exceptionally clean, great breakfast the next morning! Highly recommended at a great price! This is one of the worse best westerns I have ever stayed at, the wifi didn't work. The tv wouldn't turn on . Three trips to the office , nothing was done. The room had a well wormed look , and it was apparently a place where truckers stayed. Not even close to what you would expect from best western. There is another one closer to town,that I would recommend.this place should be condemned. No problems; good location; clean rooms; comfortable beds.Much better than a lot of the motels in Nacogdoches. Great restaurant right next to the motel for breakfast - Kinfolks. About 10 minutes from the college. Stay was okay. Both the washer and dryer didn't work. Staff was very helpful by allowing our team to wash using their washing and drying facilities. Nice people! Location is good. Easy access to town and near things to eat. We chose this hotel based on location (nearness to where we planned to be). Also, I have always been pleased with staff and lodging cleanliness at Best Western. It would be nice to accumulate free nights more quickly, however. The room was super clean and the bed was very comfortable. Décor was nice and new looking. The staff was very helpful. Breakfast was ok. Convenient location near the main highway. Would stay here again. "Very nice property and staff." Our only complaint - toilet was almost on the ground. Seat was lower than side of bathtub. We would ask for a handicapped room next time to get a higher toilet. Staff was very nice. Got us extra pillows. As Best Western Hotels go I would rate this one as average. The staff could have been more professional both in actions and performance. The internet service did not work. Another guest said it had been down a while. Breakfast was average and could have been set up better. With a little work it could be rated better. "Final Leg home after long trip." A little older property I have stayed here before on another trip. Family owned and happy people staff it as well. Small outdoor center court pool. 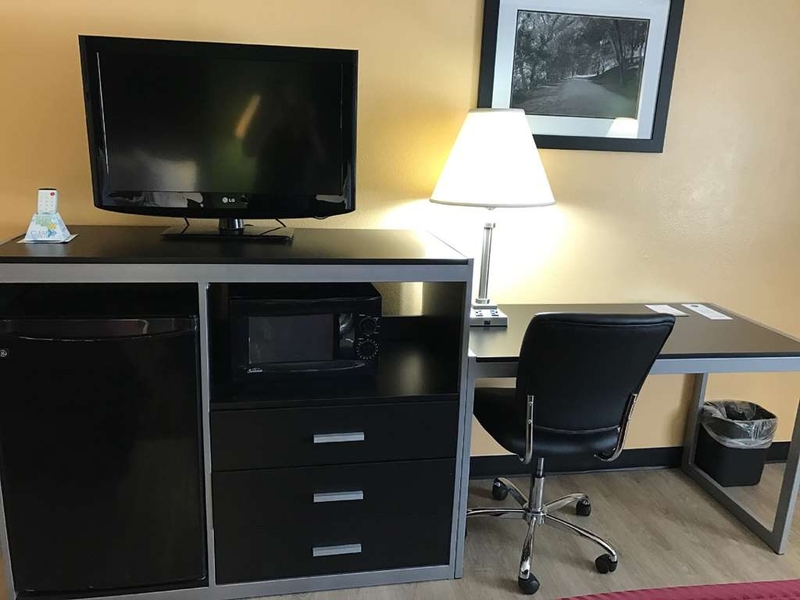 Comfortable rooms and very quick access to get back on the road. Nice breakfast selections within the range of price to stay here. Computer in lobby for guests to use. "Just what I needed for a couple nights." I arrived early evening and a very nice young lady, Jackie, checked me in. I went to my room which was the end room in the building on the south side....which was the reason that the room was at LEAST 90*F inside when I opened the door as the A/C was not on and the sun had baked the room all day. It took a LONG time to cool off, but the room is opposite the highway so it WAS quiet which was nice. This property isnt a 'fancy' motel which is fine with me as the price was right and the room reasonably clean and tidy. The bed was a bit on the firm side, but not hard as a rock as some other places I have stayed. Breakfast was predictable for a BW. A good place for a night or 2 in Nacogdoches and convenient to the highway and a well equipped truck stop/gas station/ restaurant. I would avoid the restaurant which shares its parking lot for dinner. Stayed here to escape Hurricane Harvey. I failed to do enough research on this place before registering. It was okay, but a older facility. The snack machine was out of order when we checked in, Repaired several das later(stayed 6 days). The washing machine went out midway thru, when we needed it. Bed was good. We were very tired, it was raining and we wanted a clean but cheap place to stay.. (but not so cheap it was nasty...I'm only being honest) BW was all that for us. The young lady working was very nice and helpful and the room was clean and the rate was good. I would stay there again. A/C couldn't keep up with TX heat but after sundown, the room finally cooled off and stayed cool. We were never able to connect to internet, even though we tried entering the codes given. Breakfast room is very small so we wound up taking our food to our room. 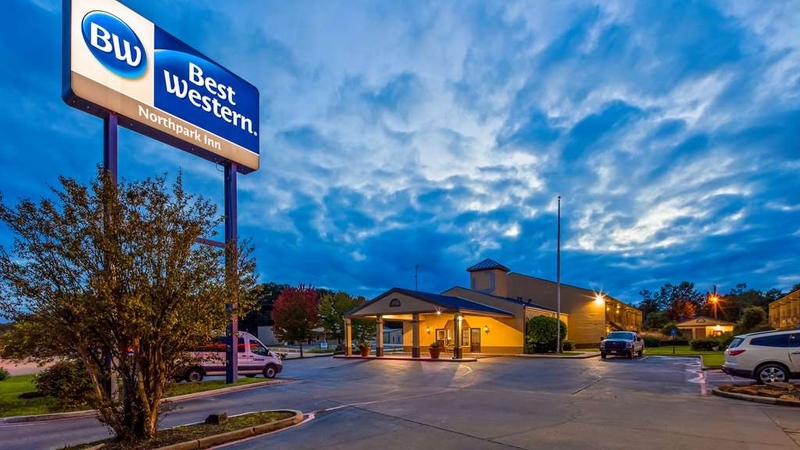 "Tried this Best Western as there are 2 in town"
We liked this one better due to restaurants were with in walking distance on same side of highway. 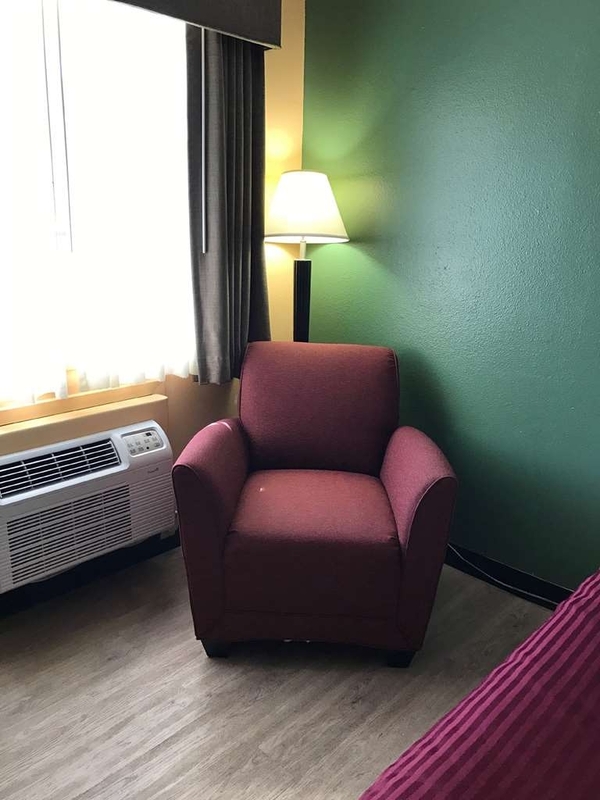 They also have smoking rooms available. This BW is on the north side and this stay that was a perfect location for us. Friendly and clean place to stay. Great room - clean and large - good quality for the price. Didn't get a chance to try breakfast but it has a buffet which is a plus. Very helpful at the front desk. Would definitely stay at the location again. Nice staff. 2 people in training when I checked in. All 3 at the desk were very nice. My brother and I combined storage rooms and were really tired. My room was on the first floor and really nice. I was so tired after dinner I couldn't get off to sleep.A simple call to the office and I got an hour added to checkout. Therefore I didn't use the free breakfast, but it looked good (waffles). Nice stay. 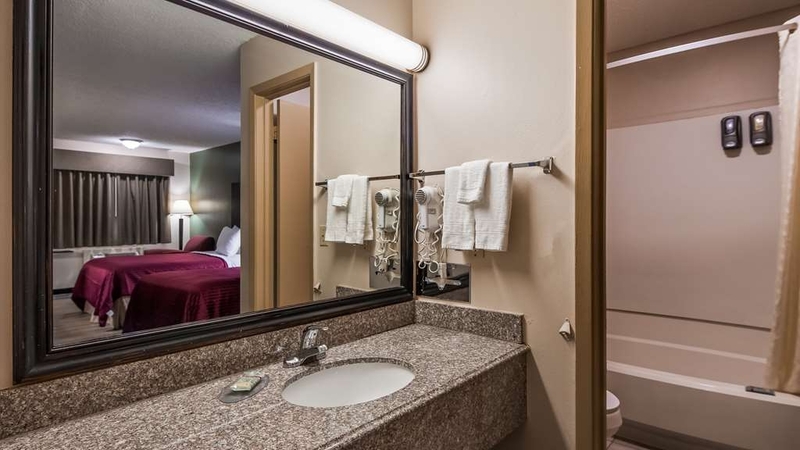 For the money and Nacogdoches you cannot beat the price for the quality of Hotel you get with Best Western. It would be nice to see the hotel get updated TVs with bigger screens better sound quality. But again for the price you can't beat it. If you have the option to stay on the first floor do. It has hard linoleum flooring. Clean beds. Air conditioning seems to have something wrong in each room, makes a clinking noise. The one compliant would be the breakfast area is really small and only seat a few people. Typical hotel breakfast. Fresh eggs not boxed. Less than average appearance, door handle wouldn't work properly to get in and out and waking up in the morning with bugs around the room,dead thank goodness. After further review there was a bunch of dead bugs behind the couch. I must say that this the only time at a Best Western that the room was less than desirable. Room had peeling paint, beds were lumpy and the pillows were old. Room key would not work the 2nd day and had to be remagnetized. Motel personnel bordered on being rude. Had to ask for a receipt. Dirty pool and the grounds were unkempt and dirty. I will never stay here again. "Terrible Hotel-Poor Customer Service and Needs to Be Maintained"
The hotel description, pictures etc. looked very nice so even though the price was above the average in the area, we made a reservation for 2 nights. It was advertised as a "hot breakfast" but the "hot part" was green eggs (not kidding! ), greasy sausages, and the regular cereal and white bread. The room was clean, but the sheets were old and wrinkled and there was a gap of 1/3" around the door in places and had flies in the room. We asked the front desk individual to cancel our 2nd evening as it was not fair to ask for a cancellation on the same day. We had to have a Supervisor from Orbitz call the front desk because the front desk individual had a bad attitude and kept telling the first Orbitz Associate that the manager was not available (this was early Friday afternoon). We asked the 2nd Orbitz associate/Supervisor) to ask the front desk person to call the manager to obtain a waiver so we could get a refund for the next night as there was a festival that weekend so the hotel would not lose money on our cancelled Saturday evening. 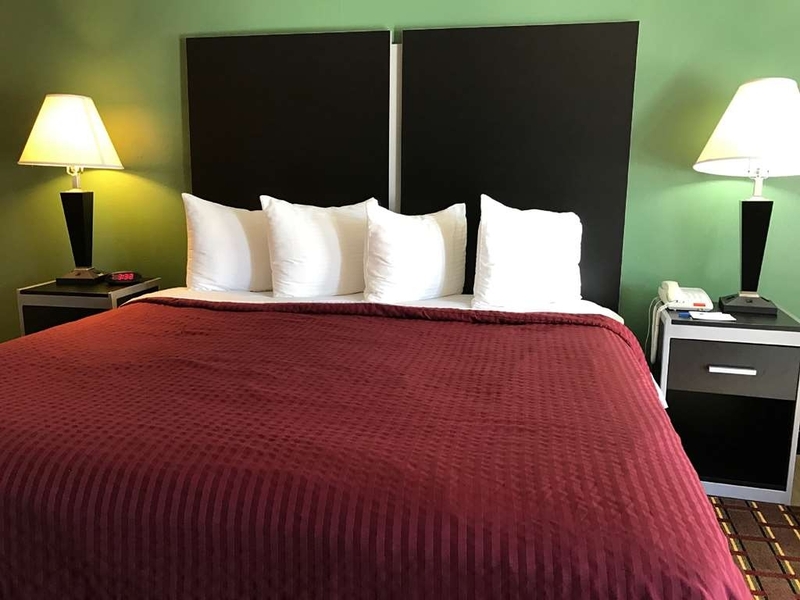 The supervisor did get the waiver, but out of vindictiveness, 2 minutes after we checked out (around 9:40 am on Saturday), she charged our charge card for the room AGAIN...and their excuse was that the room was left dirty. We carefully checked both rooms before we left and there was NO mess. Also, my husband was in the car parked in front of our room and no one entered our room before my charge card was charged (I have an automatic text from my bank when charges are made to my card!!). This was pure vindictiveness because the day before, the staff was forced to call the manager to ask about a waiver. Now, we have used Orbitz before and had an emergency and the hotel agreed to our cancelling the 2nd evening. 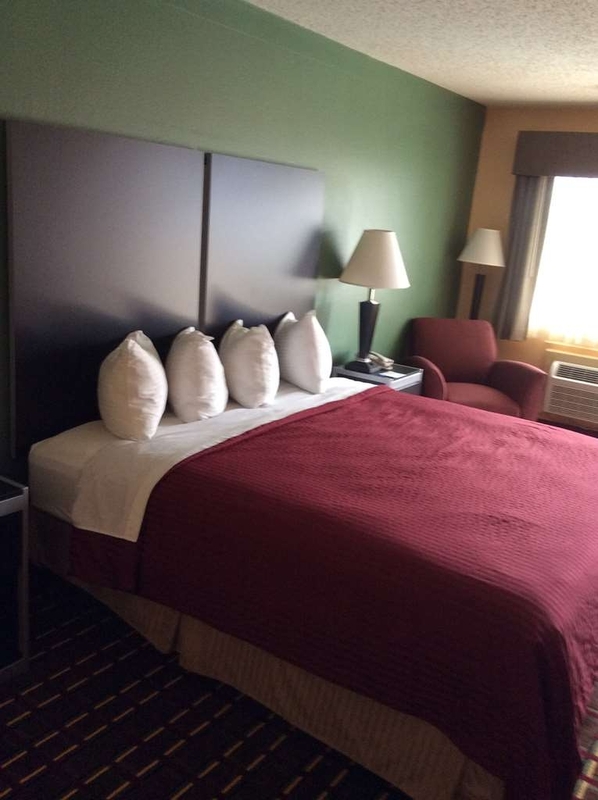 Best Western Northpark Inn Nacogdoches, Texas met all my expectations, it has great service with a caring and compassionate staff. 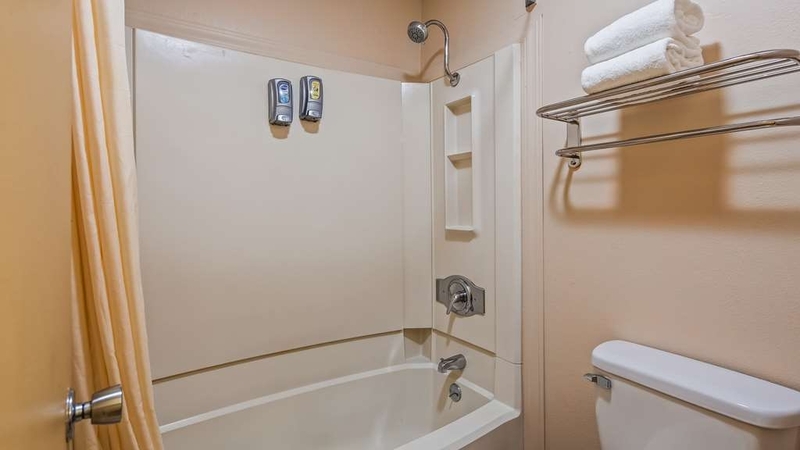 This hotel provides all the amenities you will need for your stay at this Best Western. The bed was very comfortable and the room was clean. Nice water pressure, too. The breakfast was tasty and hot. An enjoyable stay. I would definitely recommend this hotel to anyone needing a place to stay in Nacogdoches. I would stay here again, when in the area. 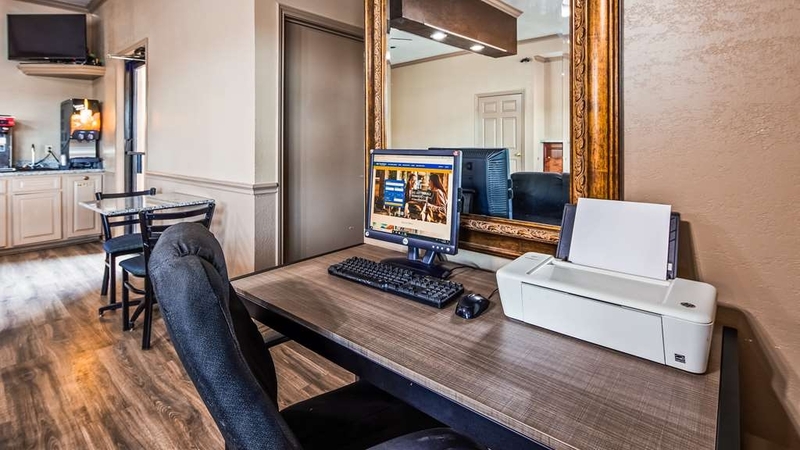 Very friendly staff, clean rooms, fast wireless internet. 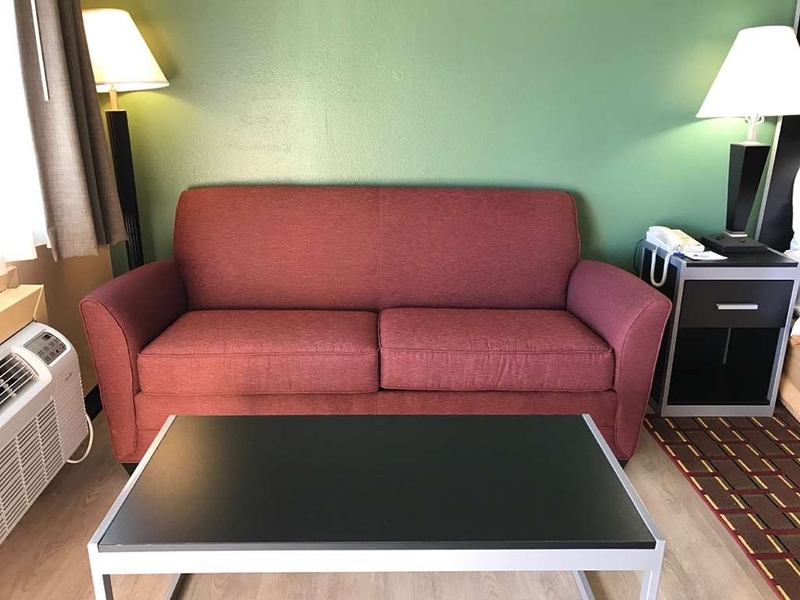 The room offers all the basics and then some for the price. Very glad we chose Best Western. Proximity to any place in Nacogdoches was within a few minutes. Great value with no bad surprises. "We don't care. We don't have to"
Stay away, prostitution is rampant. A total disgrace as a hotel., and the staff simply do not care. I shall be reporting this location to the local police department. Please be careful at this location. I cannot believe that Best Western allows this to go on. This is a nice property and I wouldn't hesitate to stay here again. The staff were friendly and the rooms were very clean. The continental breakfast was also excellent. The property also has a pool and is pet friendly. 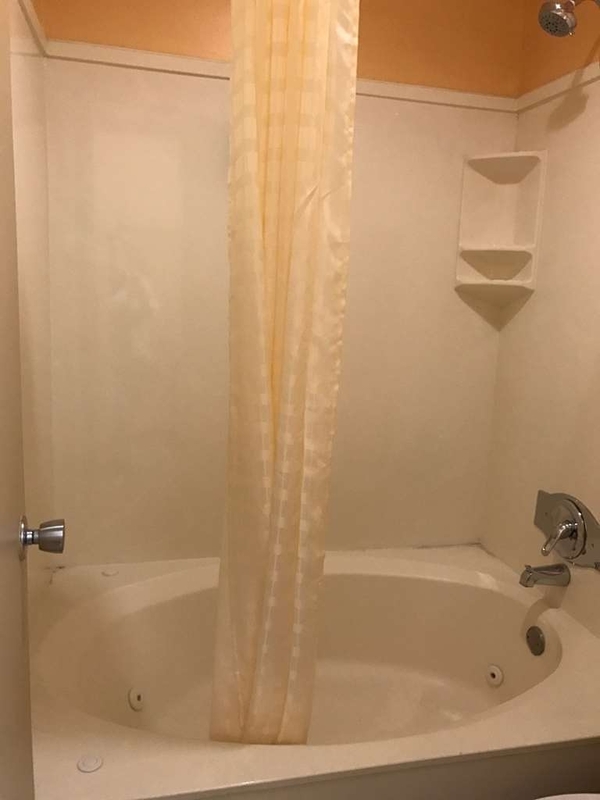 Front desk staff not friendly or responsive; large roaches in bathroom; bathtub mat disgusting; rooms in need of painting and renovation; noisy - could hear people in next room as if they were in my room; coffee condiments in room not stocked; hair dryer had hardly any power. 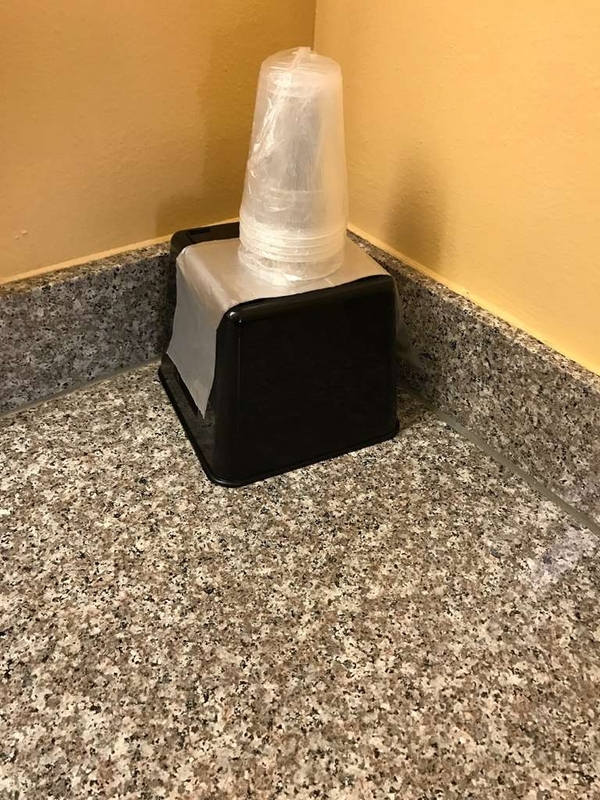 These obvious items are telling that the hotel management did not care about providing a quality experience or accommodations for guests. Price should have been on par with Motel 6 or Red Roof Inn prices. Monicam, Thank you for taking the time to fill out the survey. 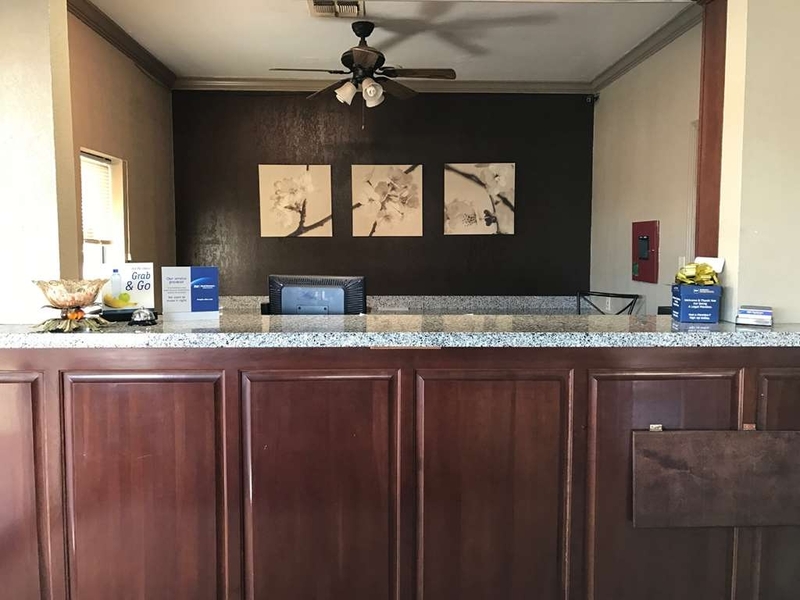 I'm sorry you had a bad experience while staying with us, but I can assure you that the front desk staff is professional, friendly and responsive whenever a guest has questions or problem incidents arise. We are here to help. All of our guest rooms have been recently updated, within the last 6 months, along with being painted as well. 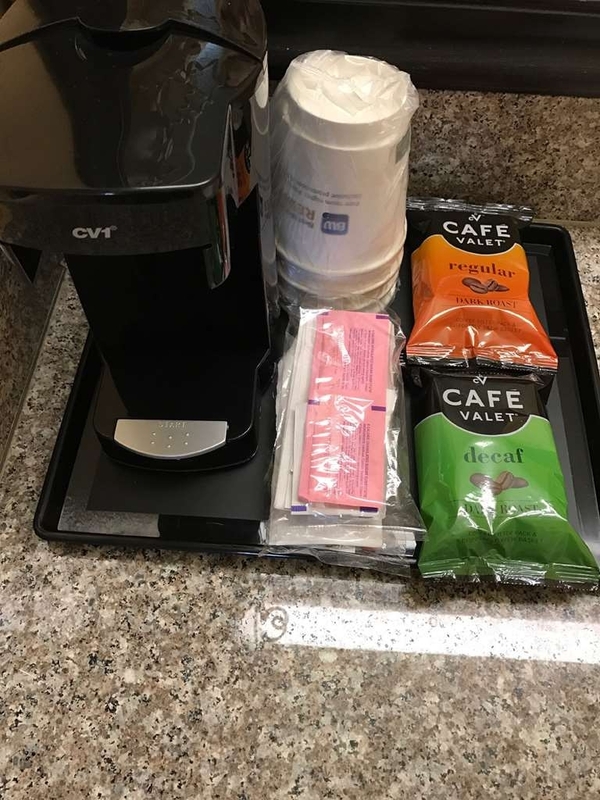 I'm not sure exactly how many coffee condiments you were expecting to be in the room, but here, we put one package of decaf and 1 regular coffee plus 2 packages of sugar and creamer in each guest room. We've found that it helps to keep the "cluttered" look down to a bare minimum. Plus, you can always ask for extras at the front desk. The more opportunity we have to interact with our guests, the better we get to know them. I would like to apologize for the noise level you had to tolerate. If you had let us know during your stay, we could have offered to move you to a different room. I hope you will give us another chance in the future to make your stay more to your enjoyable. I would recommend this hotel to everyone. It was clean and very comfortable. The pool looked very inviting. Too bad it was too cold to try it out. The room itself was very nice. It was an older room but still nice. ( I didn't pay for a luxury room so I didn't expect Hilton). But I was very pleased with our stay. It was a great value. "Decent hotel next to Breakfast restaurants." We stay on this side of town away from the hustle and bustle of the University. Amenities are decent. Hotel is quiet. Two choices of breakfast restaurants nearby. Closer to the University all you can find on that side of town is IHOP and there is always a wait. Hi Pamela G, Thank you so much for taking the time to complete the survey! I'm glad you enjoyed your recent stay with us! Yes, we are away from the hustle and bustle of the University, but also, from all the road construction that is currently going on down on Hwy 59 South! Not only are we close to two different restaurants, but Walmart and Donut Palace are just 2 miles away and you can do some unique shopping all within a 5-mile radius! Next time you and your family are in East Texas, stop by and we will be glad to accommodate you! We look forward to your continued business in the future! "Adequate lodging for reasonable price"
Room was clean and comfortable. AC worked well. Toilet was not firmly attached to the floor. Overall a reasonable experience for the price. Breakfast was okay but food ran out frequently even with only a few guests eating. 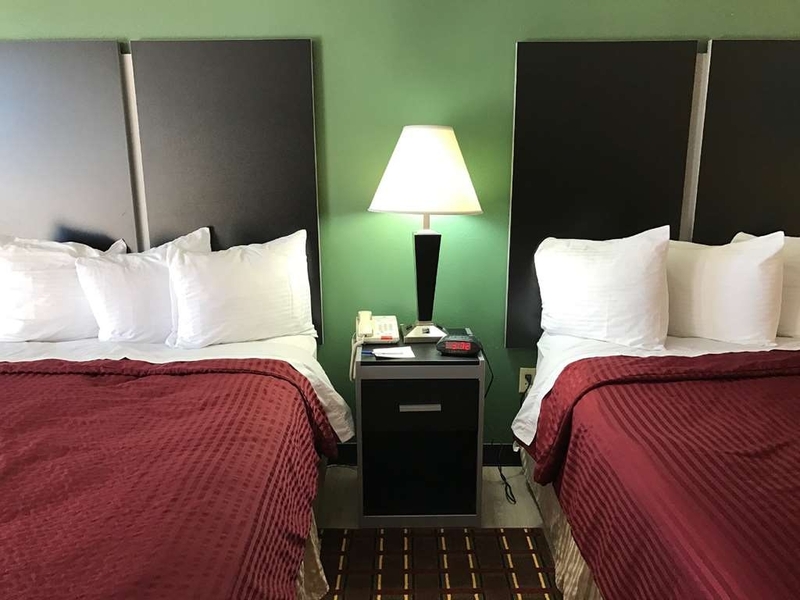 This motel iis convenient with truck parking, close restaurants and at the entrance ramp of a major highway (59 Future I-69 corridor}. The issues were minor such as a sink stopper, the bathroom door not closing properly, and a noisy air conditioner. I believe I was chosen a room upstairs due to the idea I was stereotyped as a typical trucker, although I do hold a gold membership through Hilton. 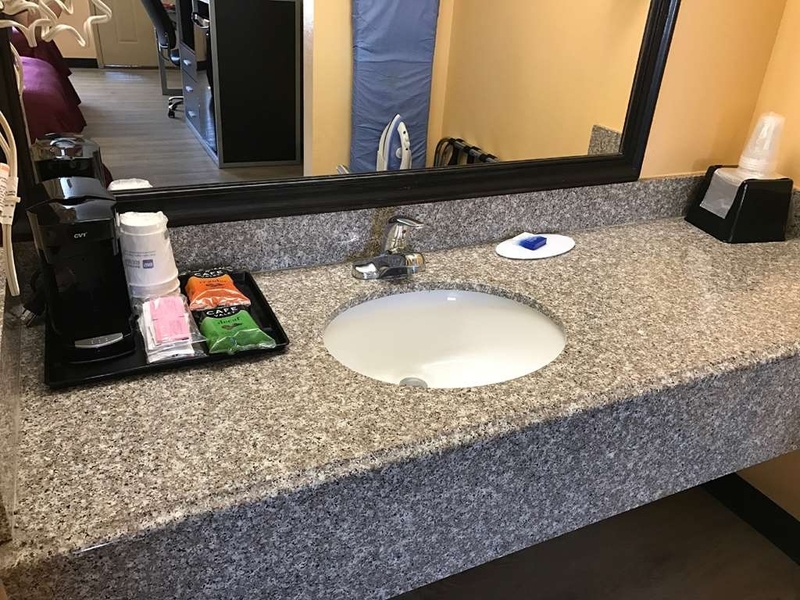 I do believe, in all sincerity a little maintenance (fixing up) could go a long way with the Nacogdoches North Park Best Western. Great value for the stay. Hotel was recently remodeled and the room was clean. A/C took a long time to cool off the room but once it did it was great! Only issue was the toilet was not bolted down and wouldn't flush. Once we reported it, it was fixed immediately. Hotel room was extremely clean. The bathroom doorknob was loose and there was no fixture on the light in the bathroom. The water pressure in the shower was low. I didn't eat breakfast in the hotel, so I cannot comment on that. I felt like the location was a really good location and there were restaurants within walking distance. Internet service was great. We just did a walk-in since we were near by while visiting family. The place was better than I expected. It was clean. Seems somewhat newly renovated. The front desk was quick in checking us in and out. The complementary breakfast was good, better than the usual. Price is great. Just a few things, stayed in room 118, 1) Peephole had paper stuff in it, 2) Door lock knob falls off when you pull or push the door hard enough. 3) At some parts of the plastic baseboard are not glued properly so the are coming off. 4) There is a gap on the AC unit to the outside air. But those were not biggies. It would be nice those were fixed. "Great Place, quiet great breakfast next door to this hotel"
It's a quiet hotel. Stayed 3 different times now. and there's a great local breakfast place right next door that's very reasonable. I don't care much for the Continental breakfast thing which they do provide. Hi Richard, Thank you so much for the awesome review! I know how busy people are these days, so for you to take time to fill out the review was very nice! I'm glad you enjoyed your stay with us enough to become a repeat guest! We love guests who come back again and again! I do agree with you about the restaurant next door; they do have some good food. Next time you stay with us, please let us know if there is anything that we can do! We lok forward to seeing you in the future! Price versus value this was a great motel to park for a couple days with a nice and laid back atmosphere. The Pool, however either needed to be cleaned or painted, ad it appeared sand and leaves were at the bottom. This was a great location to walk to restaurants as there were three within the proximity of the motel. "Great rate for a property close to everything"
Nac is not a huge town, so you can't wrong go, geography-wise, where ever you stay. We (two couples) travel the state quite a bit and try to stay in small towns, name brand hotels and visit all the local flavor we can. This BW was a great place, easy to book by phone, rooms are fine and breakfast has the usual but satisfactory stuff. Small bonus: ice machine right outside the breakfast area for your trip home. Good place great area for our family for the weekend. We had a great time doing our stay in Nacogdoches. The only issue is the breakfast need to be attended to more. The juice machine didn't work and we have to go to the other restaurant to get something to drink. Hi Michael, Thank you for taking the time to fill out the online survey! I know how boring they can get. I'm so happy to hear that you had a good time while staying with us in Nac! I apologize about the juice machine not working. I remember that weekend, as I was the one who had to call for service on it. The repair guy was located in Dallas and couldn't make it here until the end of the weekend. I really hope you decide to stay with us in the future, even if its just to try our wonderful apple juice! See you and your family soon! "Quite, peaceful place to stay"
Spent one night on the way back from New Orleans. Older hotel that has been remodeled. Nice and quiet even with a room facing the pool (was told pool closes at 9:00). Very personable staff and good breakfast. Great value. We spent one night here during the recent July 4th weekend. It was not crowded. 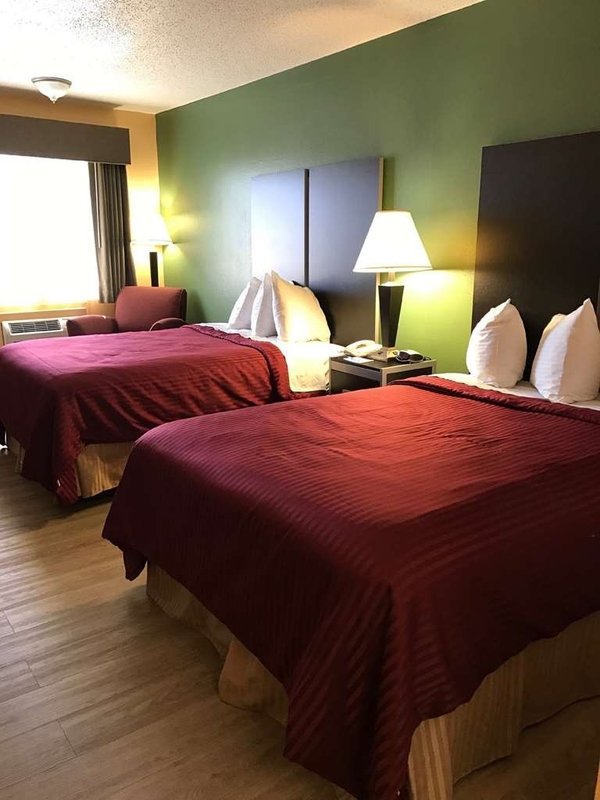 The hotel is located about 10 minutes from the middle of town in a quiet area. Our room was on the second floor, non-smoking, with a king bed, refrigerator, microwave, chair & ottoman. It was clean and odor free. Flat screen tv, wifi. The carpeting, chair cover and bedspread looked older and a little worn, but clean. The king bed had 4 pillows and comfortable, soft linens. We slept well. 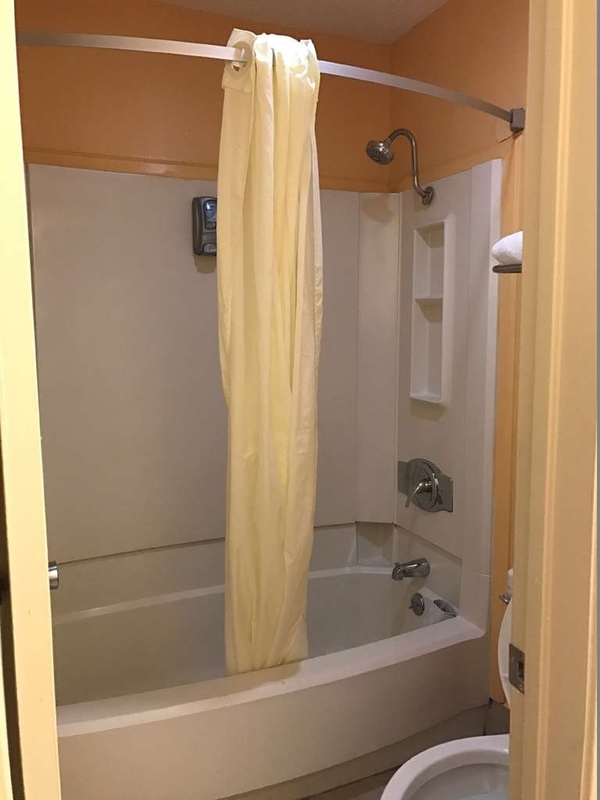 The bathroom was spotless, Nice bath towels, but only one each of the bath size, 3 hand towels and wash cloths. Since it was a very hot weekend, the air conditioning initially seemed like it wasn't getting cold enough, but it definitely got cold after we had been there an hour or so. This hotel is an older one and access is from the outside of the building. We found the stairs to the second floor to be steep but not unmanageable as long as you don't have any disabilities. I am unsure if an elevator was available. The young woman at the front desk was very pleasant and helpful. There is a breakfast area at one side of the lobby with just basic hotel breakfast food, nothing special, but tidy and well supplied. The coffee pots were kept full of hot coffee. There is also a swimming pool which we did not observe, but a couple of families with children were using it. We paid mid $60's for the room , which was cheaper than the advertised internet price. This was a pleasant hotel and we would stay here again. I always enjoy staying at this hotel and the recent remodel knocked it out of the ballpark this time. NO CARPET!! Floors are now all wood and tile which makes the room smell better and feel cleaner. The hotel staff have always been the best part of my stays here but now the rooms have caught up. Our stay at the hotel was enjoyable. The building and grounds were clean and pretty well maintained. The free breakfast tasted decent and allowed us to start our day without spending money at a restaurant. Our room was a bit quirky - the toilet and bathroom counter seemed to be very low and there were no pictures hanging on the walls. Our bed was comfortable and the hotel was relatively quiet. We did not hear any of the traffic from the freeway, which is less than a block away. We ate lunch next door at Kinfolks restaurant and ate dinner at the BBQ place right across the street. I highly recommend both places! For the price, this hotel was a great value! Got in late but check in was a breeze. The staff was very friendly and helpful. Rooms were clean and quite. Easy access off main road. Did not have time to eat breakfast there but looked clean and well stocked. Check out was also a breeze. Great night stay! "Our first choice when staying in Nacogdoches"
My wife and I have stayed at this hotel several times during our daughter's time at SFA. It has become our first choice for hotels. 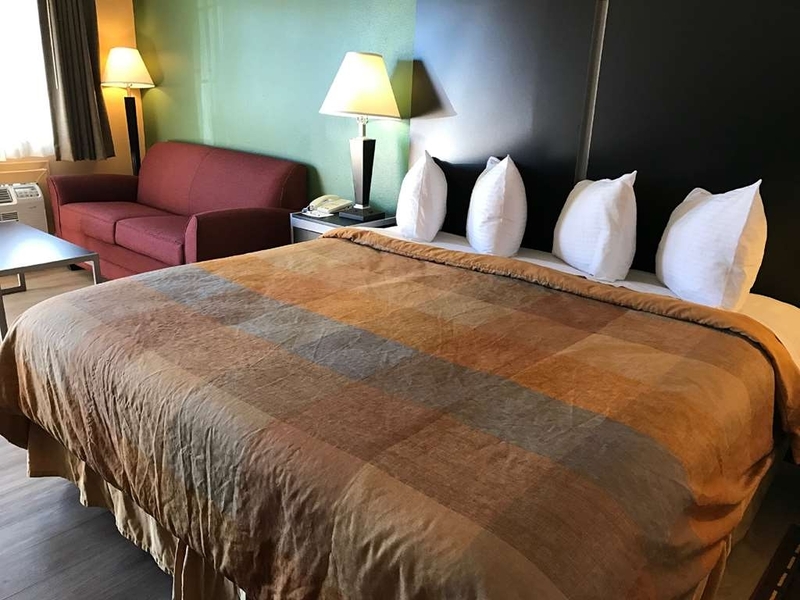 The staff is courteous and the rooms are comfortable and clean. It is on the outskirts of Nac which we prefer, but it's easy to get to. There are a couple of good eating places next door or across the street. The hotel was clean, great staff, not the Ritz but a very good value. I stay at BW because they have a real breakfast, not crap. The only issue I had was the internet didn't work, but I called the desk and she reset it and it worked fine after that. I think BW nails my goal, a good night's sleep with adequate everything, neither overly expensive nor low quality. I'd say they provide the best value/performance ratio right now. 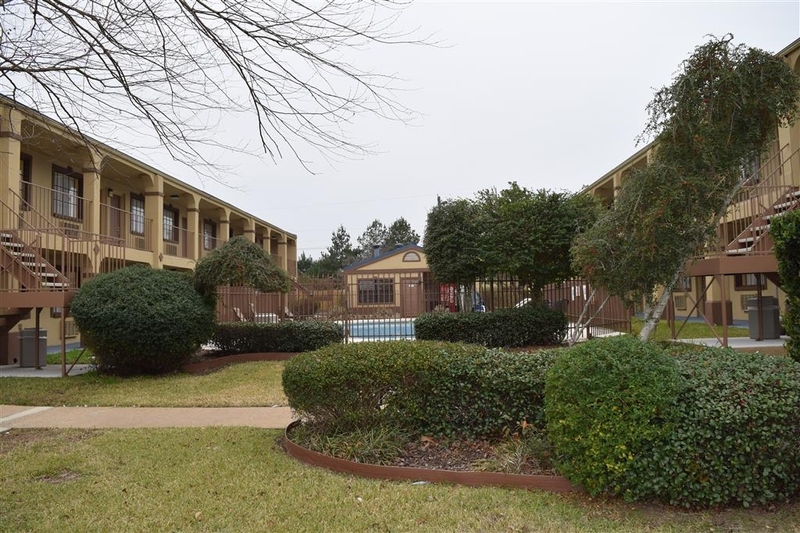 "Decent Older Hotel, Had Everything Our Family Needed For Comfort"
Stayed here while we were touring nearby Stephen F. Austin University. It's close, and decent. Rooms were tight, but set up with everything you'd need. Has a small pool. Did not get the free breakfast as we were too late. OTD, Thank you for your response. We really enjoyed having you as a guest. We are always looking for customer opinions in order to make our hotel better. I look forward to seeing you again. Thank you! "Nice place to sleep don't expect much in way of breakfast"
Room was nice, quiet, clean, staff was nice what interaction I had with them. The TV lineup on the card supplied didn't match the channel when actually selected. The breakfast was very sub-par and not well attended to by the staff. p.s. there is a diner that serves EXCELLENT breakfast right next door to this hotel so I suggest just paying for you breakfast and eating there. Richard, Thank you for taking the time to review the hotel. We appreciate your feedback. We strive for excellent service. The breakfast is constantly changing. So we would love for you to come back and try it out. Let me know if you need anything else. Thank you! "It's only a place to rest." This is not a new property. There are things that need repair. We have stayed at this location on a couple occasions. The beds are not all the same. The first time we stayed the bed was very comfortable. The last time it was horrible, like laying on a slab of concrete. If you just need to lay your head down for the night at a reasonable rate this is your place. Thank you, Jo, for taking the time to post a review! I am so sorry that you didn't enjoy your recent stay with us. Since the bed was too hard, you could have called down to the front desk and asked to be moved to a different room with a softer bed. We would have been more than happy to accommodate you! Each guest is different and while some prefer to sleep on a soft mattress, others prefer a slightly more firm mattress. I hope this doesn't adversely affect your opinion of our hotel and will consider staying with us again in the future! Thank you so much, Ricky K, for your comments. 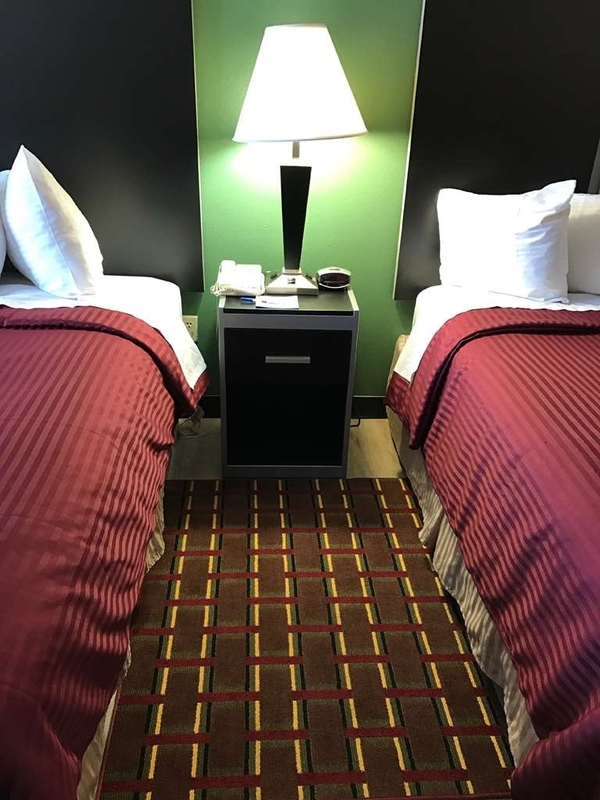 As an OTR driver, we understand how you don't get to stay in your own bed much so we strive to make your stay with us seem as much like home as possible. I'm not too sure what you meant about normal size pillows as the ones on our beds are standard size, but I will definitely keep that in mind next time we order more pillows. We really appreciate your business and look forward to seeing you again in the future! I usually stay at the Best Western on South St but they were booked. This location was far better. People were friendly yet professional and the room was great I had no troubles at all. It has 2 restaurants next door and easy access to anywhere. Hi Penny, Thank you for taking the time to provide feedback. I am glad you enjoyed your stay. We do strive to have professional and friendly faces always greet you. On behalf of my staff and I, we really would love to see you in the near future. Please let us know if we can be of any further assistance. Thank you! My husband and I stopped in for the night after a long drive. The receptionist was informative and inviting. The rate was fair price and the rooms were clean. The bed was very comfortable and I really had a restful sleep, which was much needed for the 5 hour car ride. The breakfast had fresh eggs and Texas waffles. Overall I would recommend this hotel. Thank you for your review. We are glad that your husband and you had a great stay at our hotel. We strive to hear comments like yours. We hope to see you in the future. Thank you! The worst place!! The room smelled, the toilet did not flush well, TV took forever to come on. In addition, the morning clerk prohibited people taking food to the room. She and the manager said no food is allowed in the room. The most belligerent staff I have ever encountered in the world. Thank you for your review. We appreciate your comments. We have many signs addressing customers from taking rooms to their rooms. Our staff is always very pleasant. The rooms all have been freshly painted and new floors have been installed, so the room smell should not be a concern. Please let us know if we can be of any assistance to you in the future. Hi Rachel, Thank you for your review. We really appreciate you taking time out to help us improve the hotel. I'm glad you enjoyed your stay. We really enjoyed having you here. I hope you will return the next time your daughter has another dance performance! It's not the Ritz, but it is a good value. I'd stay here when traveling anytime. It's clean, quiet and close to the highway. The staff is pleasant and keeps the facility clean. That's it in a nutcake. Charles, Thank you for your response. Our town is quiet small, hence no Ritz. We had a pleasure serving you and hope you enjoyed our small town charm. We cannot wait for your next visit. Let me know if I can be of any further assistance. Thank you! "Fine for a quick stay"
Okay for a quick stay. Room is outdated. Conveniently located off a main road. Gas station and local eatery in walking distance. This hotel is in a safer area than the other location on South Street. The rooms were very quiet although near a main road. All staff was friendly; check in and check out were smooth. Christopher, Thank you for your feedback. We loved having you stay at our hotel. Since your stay, we have made some major changes. We have installed new floors and painted all the rooms. 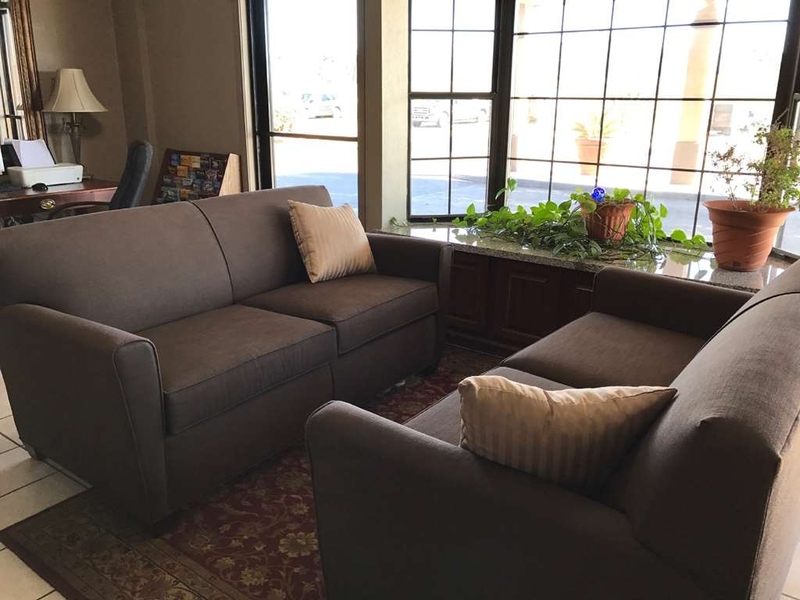 We will be making additional improvements, such as new furniture in the next few months. We hope you will notice a difference the next time you visit. Please let me know if you need anything else! Staff went out of her way to be accommodating clean. As quiet as can be located next to hi way. Nice restaurant next door with takeout. Only problem is toilet was too close,to paper holder very cramped. Good value. Nestled of the highway. 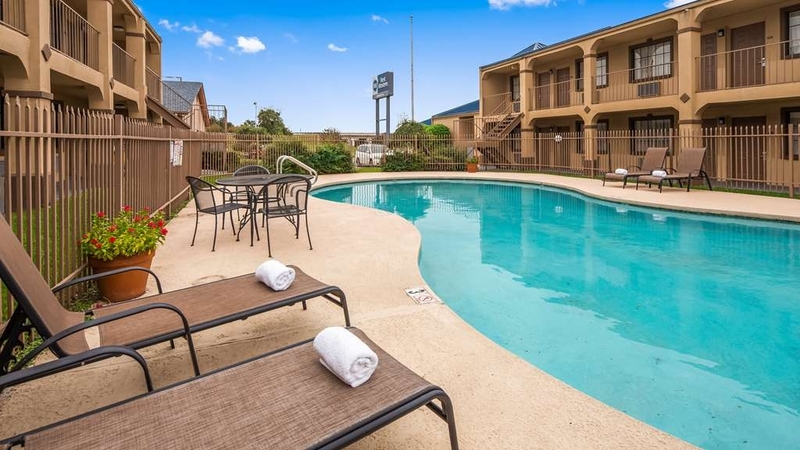 this Best Western is pretty quiet, clean, and right next to two restaurants. Drive 4 miles or so down the road and you hit the center of town with all sorts of food joints, a Walmart and even a nice university. Hi Jorge, Thank you for taking the time to provide feedback. My staff and I are glad you enjoyed your stay with us. We look forward to making our guest stay a positive experience. Please let me know if I can be of further help and we look forward to seeing you soon. Thank you! I stayed here with my husband just passing through. We were tired and saw this hotel off the highway. The location was located next to two restaurants and the constables office, so it was safe. The rooms were clean and comfy. The staff went out of there way to make us feel comfortable. I will be back on my way to Tyler. Hi Steven, I am so delighted that you enjoyed your stay at our hotel. We always strive to ensure our patrons have a smile on their face when the leave. We can't wait to see you again. Thank you! Very grateful you allow pets, good simple free breakfast, nice clean pool although we didn't have time to use it. Very well located. Comfortable beds. Trash cans in our room this stay didn't have any trash liners but FD clerk gave me a huge one to put in one of the trash cans. Hello Karen, Thank you for your response regarding your stay. We we happy to have you and your pet stay with us. We do not provide trash bags in the room, so we can be more environmentally friendly and ensure our guest the trash cans are clean as well. We would love to see you again. Please let me know if I can be of any assistance in the future. Thank you! My room is always comfortable and clean. The staff is always pleasant to speak with. Location is the main reason I stay at this location when I visit my hometown. It's close to my family and love one. Glove722, It was a pleasure having you stay with us. Thank you for your positive feedback. It will help us improve our hotel. We are ecstatic to hear that you are moving back to the great city of Nacogdoches. No place really feels like home, except for Nacogdoches. Thank you! This hotel is nothing special. I would rate it ok. When I think of Best Westerns I think of better hotels. This one didn't have anything special. The location wasn't too bad. The breakfast area was very small and crowded so we didn't get to take advantage of it. The hotel is a great plave to stay when visitig Nacogdoches. It was very economical. I would recommend this hotel the next time you are in town. I did not utilize the breakfast, however it appears that it was a variety of choices. This is a nice hotel but seems to cater to road crews that leave muddy work boots outside their doors, smoke, and drink beer on the steps to the rooms. The room was clean and very nice looking, but the electrical outlet did not work and the reset button did not work, which was an inconvenience. Thank you for taking the time to fill out the online survey. 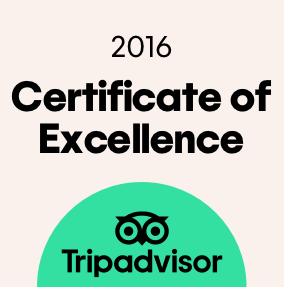 We strive for excellence and want only the best experience for our guests. We cater to everyone, although at the present time, we do have workers staying with us who were courteous enough to leave their muddy boots outside the rooms instead of tracking mud inside. This is one reason we are able to keep the rooms so clean! I'm really glad to hear that you liked your room and I apologize about the plug outlet. I had maintenance immediately repair the problem. We look forward to future business with you! Thank you! Great for a quick stay for family or anyone on a budget. Breakfast was one of the better ones I've had free in a while; biscuits n gravy, real eggs, waffles, sausage and on the go breakfast choices, as well. I would return.